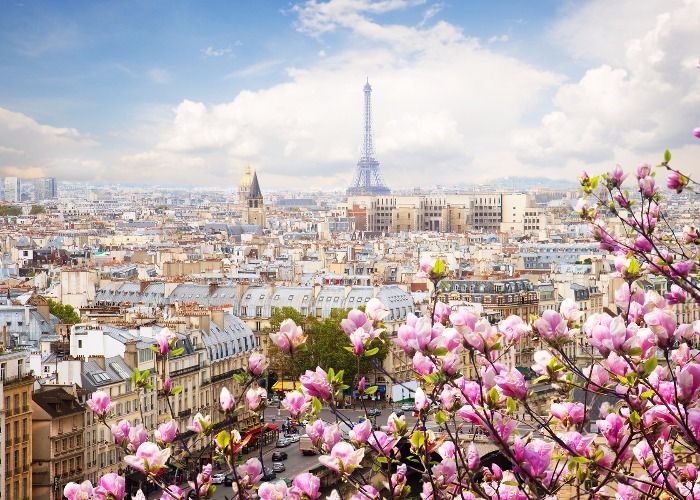 Paris, renowned as the city of light and love, is simply one of Europe’s most enthralling destinations. Here’s our guide to what to do in Paris, including the best places to stay and eat, and where to escape the crowds. There’s a reason why Paris is one of the most visited cities in the world. This is where Victor Hugo, Marcel Proust and Ernest Hemingway were inspired to pen some of their greatest works, where the most significant art movements of the last few centuries were born, and where jazz, theatre and classical music have flourished. Beyond the boulevards and classical monuments, you’ll find fascinating museums, fabulous restaurants and neighborhoods where life continues at a pace little changed for years. Today, Paris is also filled with a renewed energy, particularly in the east of the city, where a slew of bars, neo-bistros and clubs are reinvigorating once little-visited quartiers. You could spend weeks just exploring Paris’s best-known museums and galleries, so if you’re short on time, start with the city’s highlights. The Louvre is the obvious choice for many, its three wings stuffed with works dating back to Greek and Etruscan antiquities. Alternatively, you’ll find the city’s finest Impressionist paintings in the Musée d’Orsay. On a smaller scale are the engaging and recently revamped Musée Picasso and the Musée Rodin, with its elegant statue-filled garden. Strolling the river Seine is one of the most enjoyable ways to spend a day outdoors. 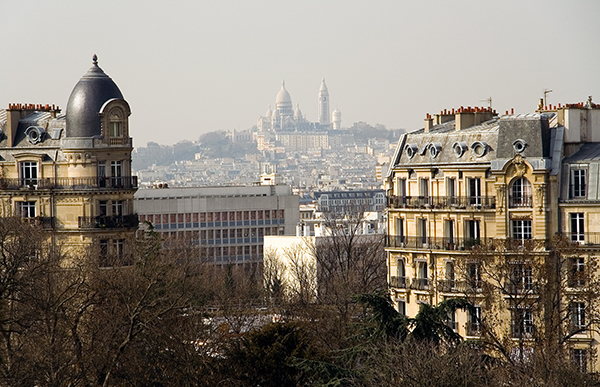 Start in the Jardins du Trocadéro, from where you’re afforded excellent views of the Eiffel Tower. Crossing the river, you can follow the pedestrianized Berges de Seine before browsing the second-hand book stalls, known as bouquinistes, on your way to the Cathédrale Notre-Dame on Île de la Cité. The hilltop sights of Montmartre might be among the city’s most visited, but somehow the crowds detract little from their charm. No trip to Paris would be complete without climbing the steps to the Sacré-Cœur, taking in the expansive views over the rooftops and stopping in a café on Rue des Abbesses. 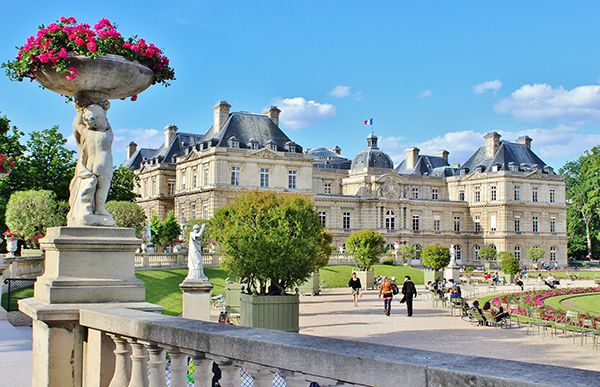 On a sunny day, there’s no more quintessentially Parisian experience than a picnic, with the Jardin du Luxembourg a great spot for eating al fresco. To pick up provisions, head to Rue Montorgueil, one of the city’s longest-established shopping streets, lined with bakeries, cheese shops and patisseries (try Stohrer, the oldest in Paris). The Marais’ ancient, narrow streets have feel quite different to the rest of Paris. Traditionally the city’s Jewish quarter, it’s abuzz with great boutiques and independent galleries. Be sure to explore both the Haut Marais, where you’ll find a scattering of hip cocktail bars as well as the historic Marché des Enfants Rouges, and the grander streets to the south around beautiful Place des Vosges. There’s more to Paris than world-famous sights. Here are just a few places where you can see a different side to the city. Nowhere in Paris has changed as much in recent years as the once down-at-heel districts east of the Canal St-Martin. Whether you’re looking for the perfect café noisette, a great bistro or a fun night out, head to the 10th and 11th arrondissements. During the day you can watch games of pétanque beside the Bassin de la Villette, or take a stroll in Parc des Buttes-Chaumont. At night, the area springs into life with bars running the gamut from jam-packed dives on Rue Oberkampf to cool performance spaces such as La Bellevilloise. For the most famous names in modern art, visit the Musée d'Art Moderne in the Pompidou Centre, where the enormous collection includes works by the likes of Matisse, Picasso and Pollock. More challenging are the uncompromisingly contemporary exhibitions at the Palais de Tokyo. Whether you’re fascinated by ancient history or 21st-century photography, you’ll find a museum to fuel your passion. 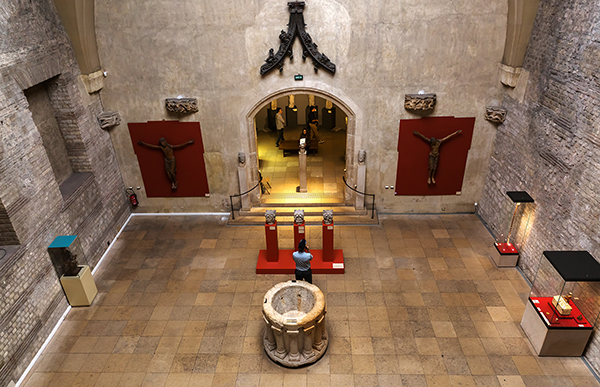 Go back in time at the Musée National du Moyen Age, where a mix of medieval tapestries and objets d’art are displayed on the site of a Roman bathhouse, or check out the latest shows at the Maison Européenne de la Photographie. We've pinned all our favourite things in Paris on this map. See what to do, where to sleep and where to eat. 1. For ultimate luxury: Hotel Plaza Athénée is undoubtedly the grande dame of Parisian hotels. Expect lavish interiors, romantic balconies (many with Eiffel Tower views) and a three-Michelin star restaurant by Alain Ducasse. 2. For celebrity elegance: If marble-clad decadence is your cup of tea, then you won’t get much better than Le Bristol. Le Bristol’s roster of celebrity guests is hard to beat – not that they’d let on, of course. 3. For amazing location: Next to the Jardin des Tuileries, Le Meurice is one of the city’s most extravagant 5-stars, with service to match. From pet-sitting to a family treasure hunt, your every whim can be catered for. 1. For design chic: The Parisian outpost of Philippe Starck’s design-led mini-chain, Mama Shelter, has some of the best-value rooms in the city, even if it’s a little way out of the centre. 2. For a room with a rooftop: A mega hostel with a heart – and a great location for the Eurostar – Generator Paris provides everything a budget traveller could desire, including a rooftop bar. 3. For a central sleep: if you want to be right in the heart of the action along the Canal St-Martin, bag one of the 12 rooms (or family-friendly apartments) in boutique hotel Le Citizen. 1. For haute cuisine: Fine dining in Paris is an unforgettable experience that blends tradition, performance and culinary magic. Alain Passard’s Arpège has long been one of the most famous restaurants, or you could try Astrance, run one of his protégés Pascal Barbot. 2. For modern French cooking: For refined, innovative cooking without the trappings associated with haute cuisine (white tablecloths and so on), head to one of the city’s stripped-back “neo-bistros”. The tasting menus at Pierre Sang, Le Chateaubriand and Septime are among the best. 3. For a traditional brasserie: You’ll find French classics such as sole meunière, confit de canard and tartare in many restaurants, but they’re best sampled in memorable surrounds. Splash out on a meal in a fabulous art nouveau setting at Le Train Bleu or head to Brasserie Lipp, a stalwart on Boulevard Saint-Germain. 4. 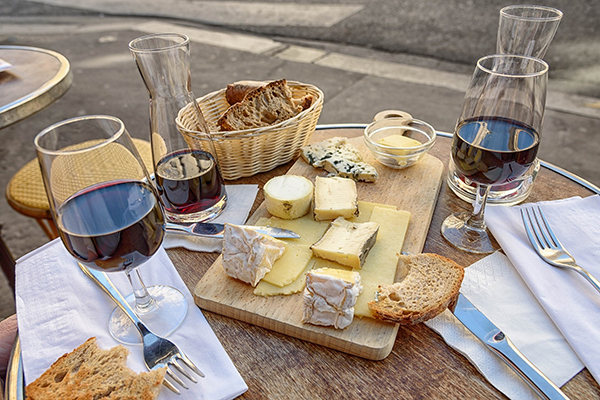 For great wine: Natural wine is a big deal in Paris, with the most convivial bars packed out every night of the week. Aux Deux Amis and Le Verre Volé are among the best for food, with inventive daily menus and dishes to share. 5. For steak frites: There are two great spots to satisfy meaty cravings in the Marais: Robert et Louise, where you can share a beef rib grilled over an open fire, and Marie Bistro, where perfectly cooked steak comes sliced with homemade sauces. 6. For a Parisian favourite: One of the most popular foods in Paris isn’t a French dish, but a Vietnamese one: bo bun. You’ll find riffs on this hot-and-cold rice noodle salad everywhere, but Le Petit Cambodge turn out some of the best. 1. Sightsee on a Sunday: Entry to most big museums is free on the first Sunday of the month – just be prepared for to queue. 2. Master the metro: Paris is a joy to explore on foot, but public transport is useful for longer journeys. Pick up a carnet of ten tickets: each is valid for a single journey on the metro, bus or RER in the city centre. 3. Camp in the city: If you'd like to get back to nature but stay within the city, head to the campground at Bois de Boulogne. There's space for over 500 tents, and areas for campervans and caravans. 4. Plan your meals: Unless restaurants advertise service continu, they are open for lunch (from around 12–2pm) and dinner (from 7.30pm). Many are closed on Sundays and Mondays, when it can be hard to find a good place to eat. There are some excellent day-trips within easy reach of Paris, most just a short train journey from the city. The one place top of most visitors’ wish lists is the magnificent Château de Versailles, Louis XIV’s lavish estate. Despite the visitor numbers, its scale and splendor never fail to astound. 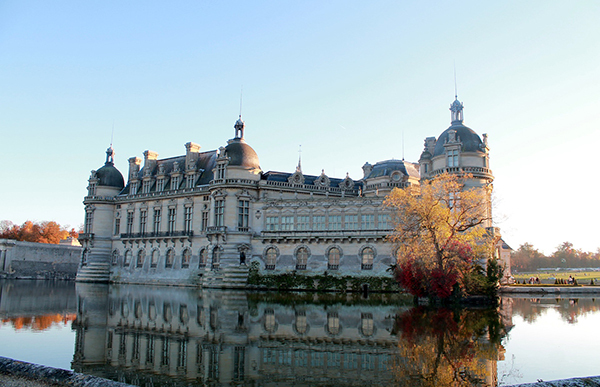 Also of note are the Château de Chantilly, home to an incredible collection of art amassed by the Duke of Aumale, and the Château de Fontainebleau, surrounded by exquisite gardens. It’s just 45 minutes by TGV to the city of Reims, home to the cellars of many great houses including Veuve Clicquot, Taittinger and Ruinart – all of which offer guided tours. Organised day-trips also combine vineyard visits with prestigious cellar tours in Epernay, the “Capital of Champagne”. Spring in Paris is famous for a reason. Once the cherry blossom blooms at the start of April, the city is simply glorious, with highs averaging 16°C (61°F). Autumn and winter can be gloomy, but are perfect for bracing walks and days in museums. 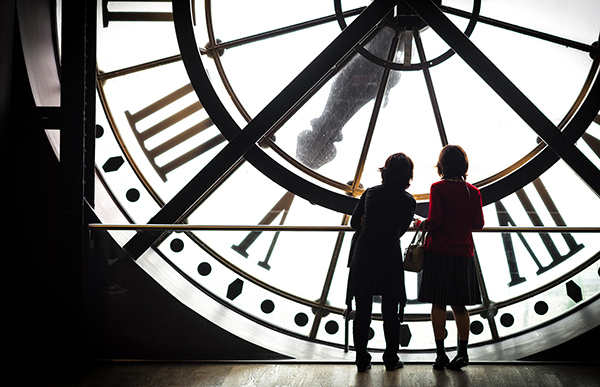 The only month to avoid is August, when most businesses close and Parisians leave the city. Paris has excellent rail connections, including direct links to the UK, Belgium, Luxembourg, Holland and cities across France. Voyages SNCF is a useful resource for booking tickets. For flights, the main international airports are Orly and Roissy-Charles de Gaulle, both of which can be reached via RER in around 30–45 minutes. Beauvais, used only by budget carriers, is less convenient; the coach to Porte Maillot, from where you can get the metro, takes more than an hour.